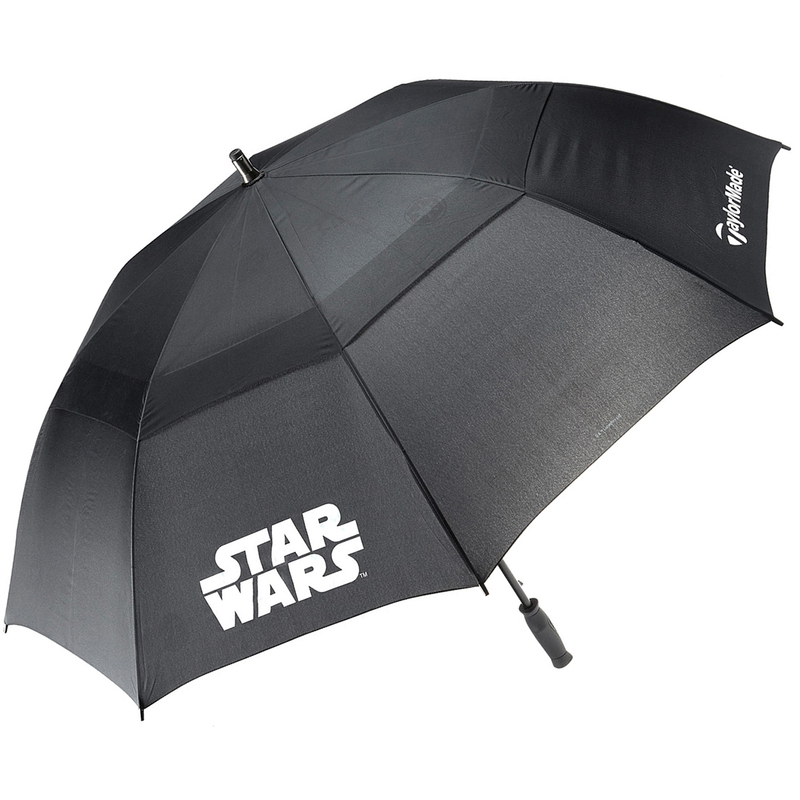 Protect yourself in blustery and rainy conditions with the superb STAR WARS themed umbrella. 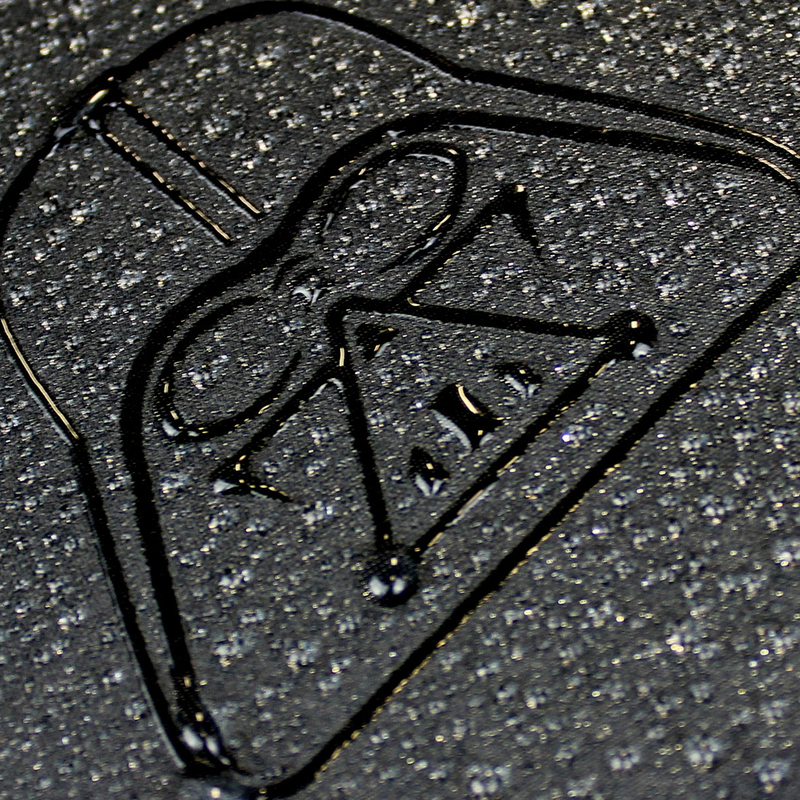 This umbrella has been designed with magic print material which when wet reveals extra STAR WARS characters, as well as the STAR WARS and TaylorMade logo`s. 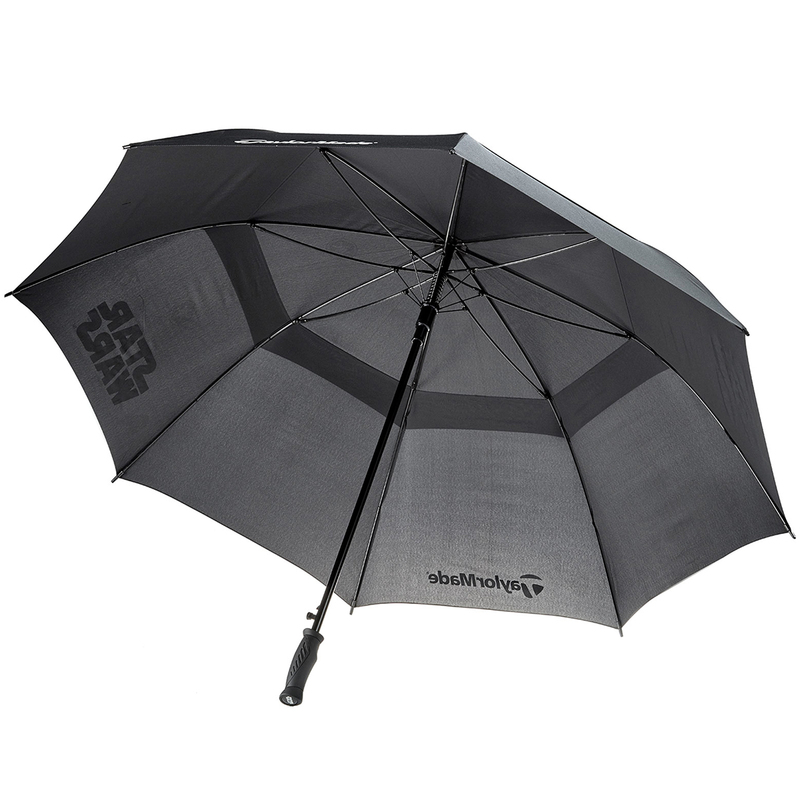 Made with a dual canopy which prevents the wind inverting in high wind conditions, plus has a large 64" size to help you stay dry in the rain. 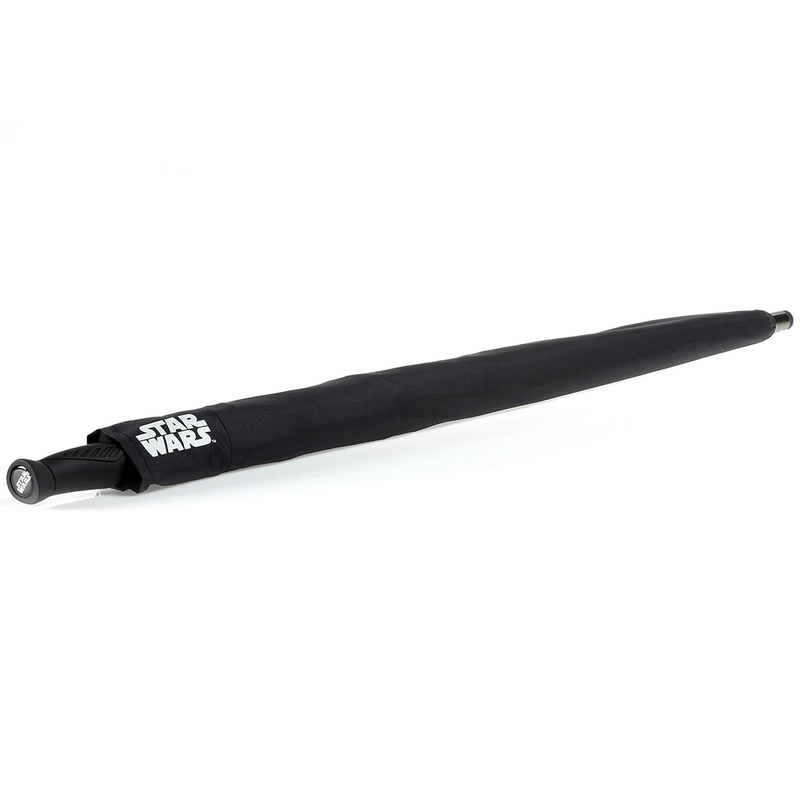 The umbrella also has a sturdy fibreglass shaft and has a ergonomic rubber coated handle, plus comes with a protective umbrella sleeve.